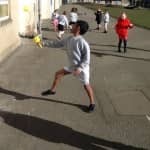 There was a princess long ago…..
P1A enjoyed some P.E in the sun this afternoon. We were practising our aiming skills by trying to get the ball in the cup! 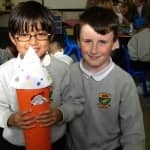 P1A have been busy learning about money this week. 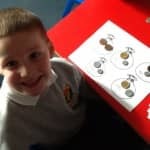 We are learning to identify 1p, 2p, 5p and 10p. 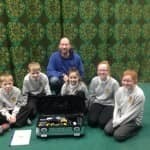 We use games and plastic money to help us learn. 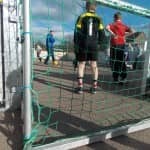 On Friday, 12 children from P7 went to Northfield Academy to take part in a football tournament against Muirfield Primary. 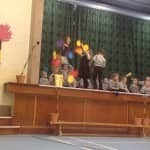 The children did really well and thoroughly enjoyed the event. 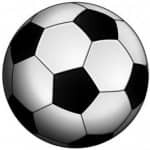 On Saturday the P4/5 football team won 8-4 against Middleton Park School with another fine performance from the players. 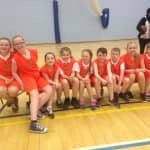 Last week the team played Fishermoss and also won this game…. 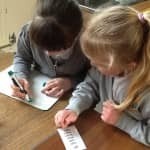 P2 have been busy practising our “igh” words as part of the Active Literacy programme.